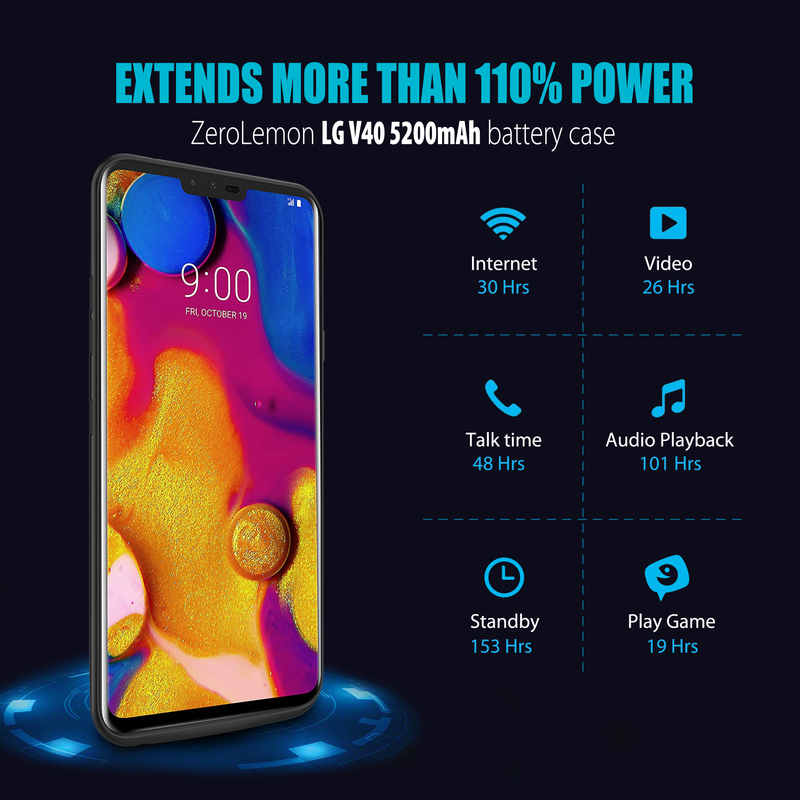 Extend 110% Power to your LG V40 ThinQ – The powerful 5200mAh Li-polymer extended battery effectively provides 110% extra battery life to the LG V40 ThinQ. 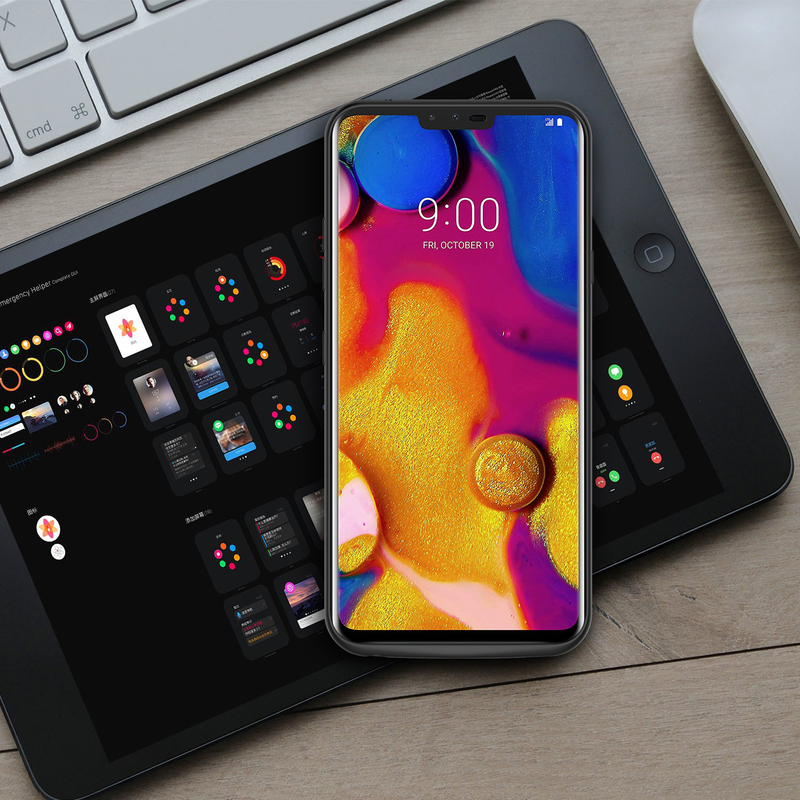 Keep your LG V40 ThinQ working all day long. 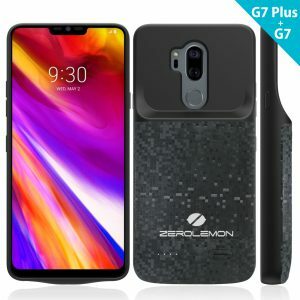 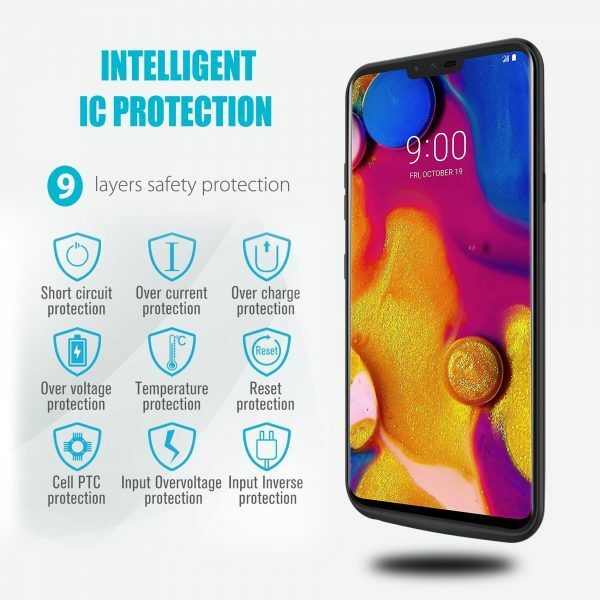 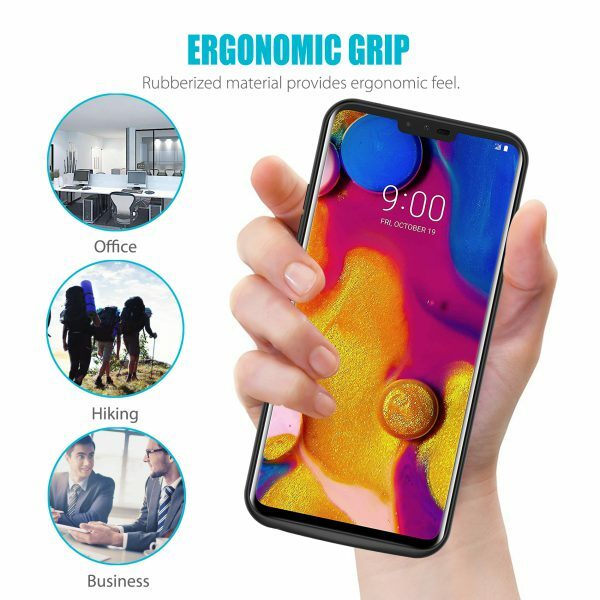 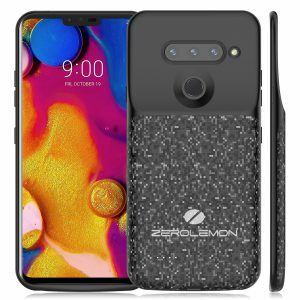 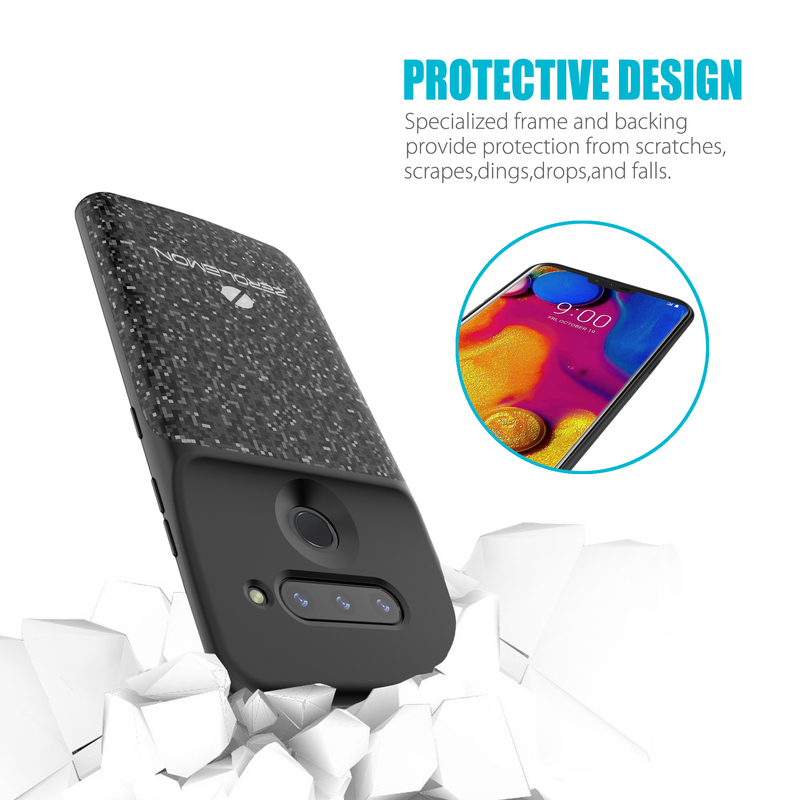 Full Edge Protection – Soft TPU case protects your LG V40 ThinQ from scratches and other daily wears and tears. Feel confident with a phone case that delivers reliable protection all day. 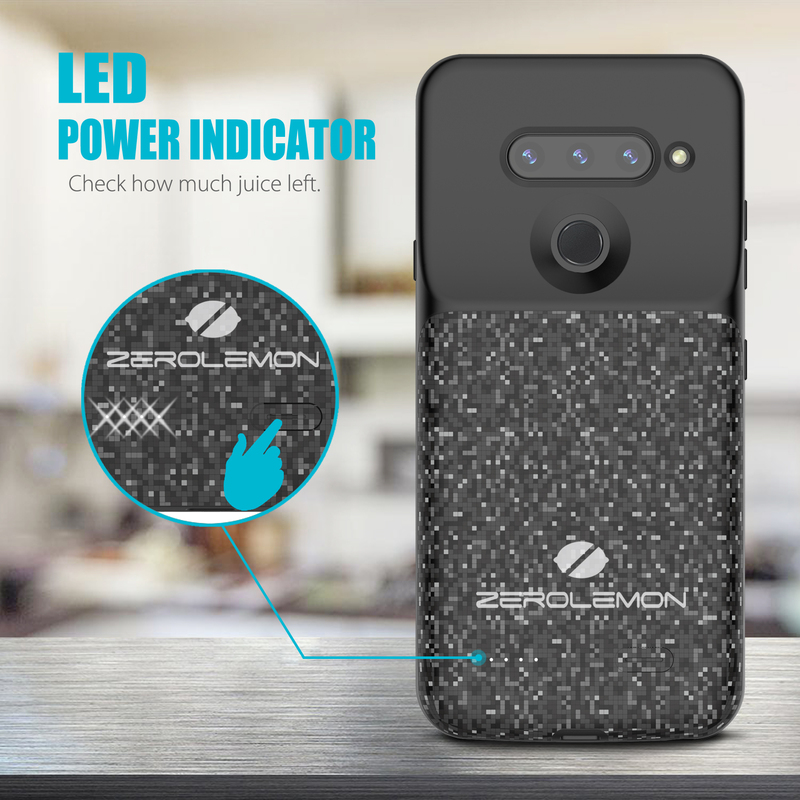 Intelligent Power Indicator – 4 LED lights indicate the battery levels and charging status. 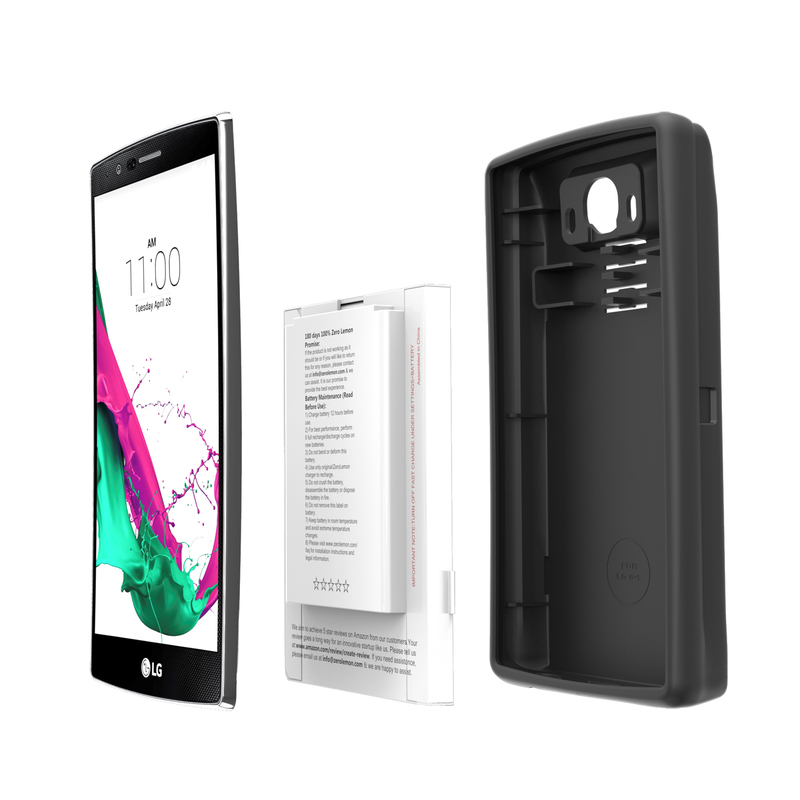 Integrated button allows you to choose when to charge for when you need it most. Know before you go. 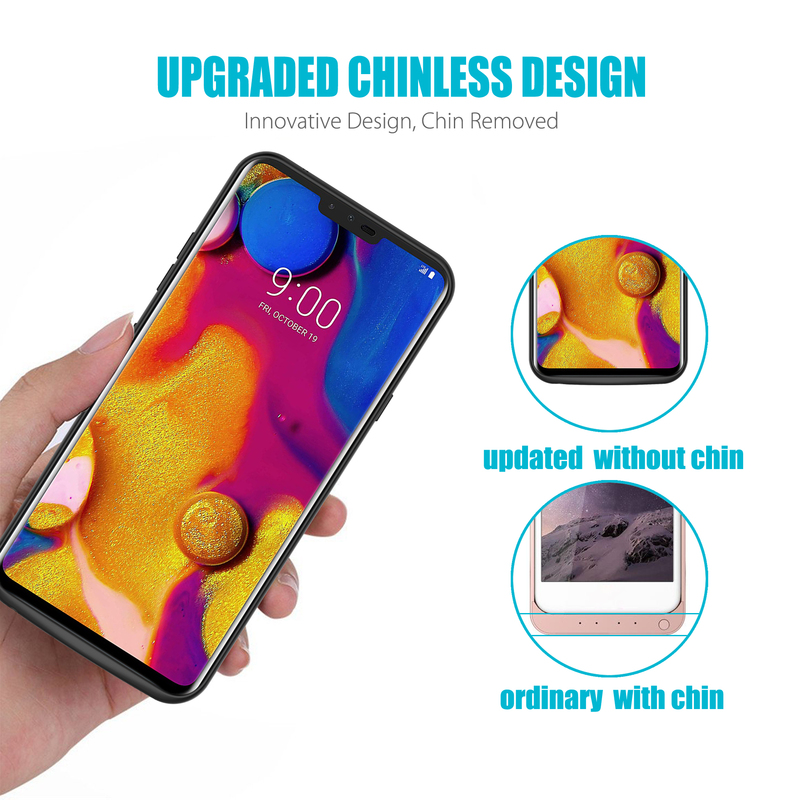 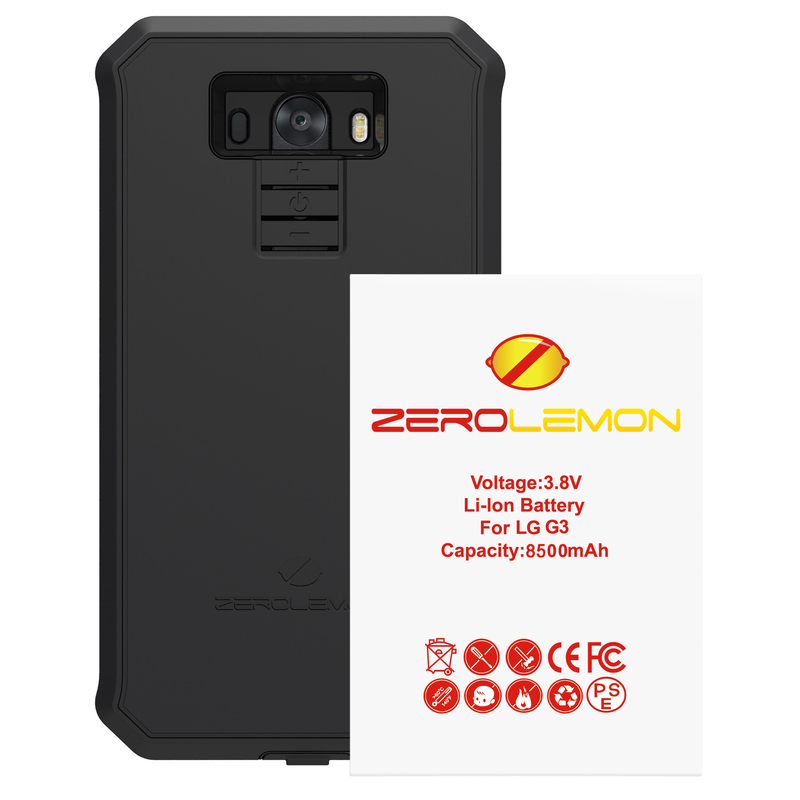 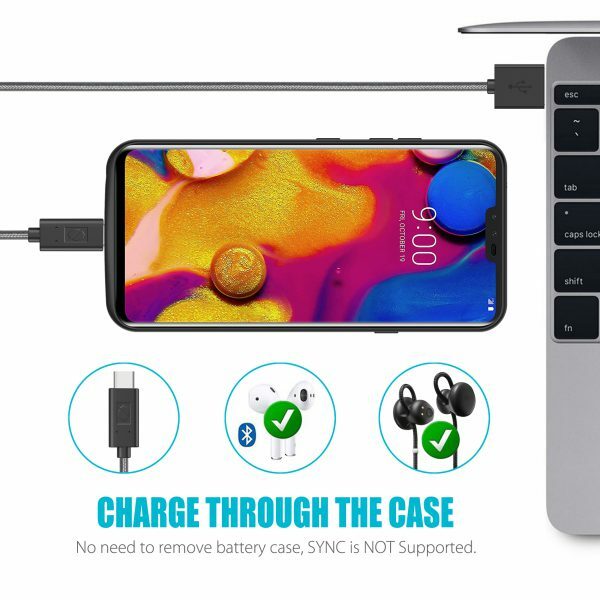 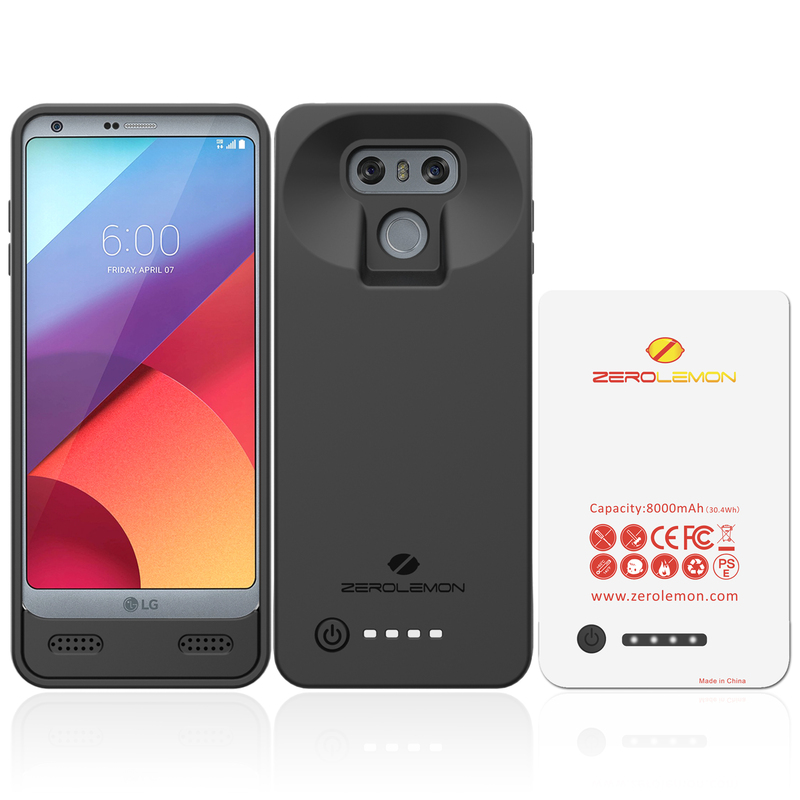 PLEASE NOTE: Sync file, Quick Charge, wireless charging and NFC are NOT supported by this battery case.